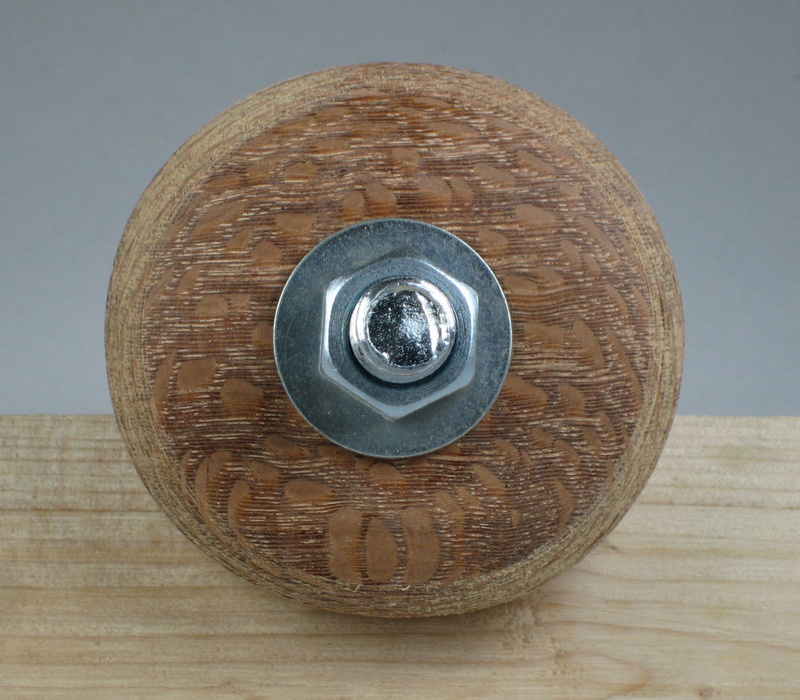 When I was a kid my dad made me a yo-yo out of oak. It was a simple toy. 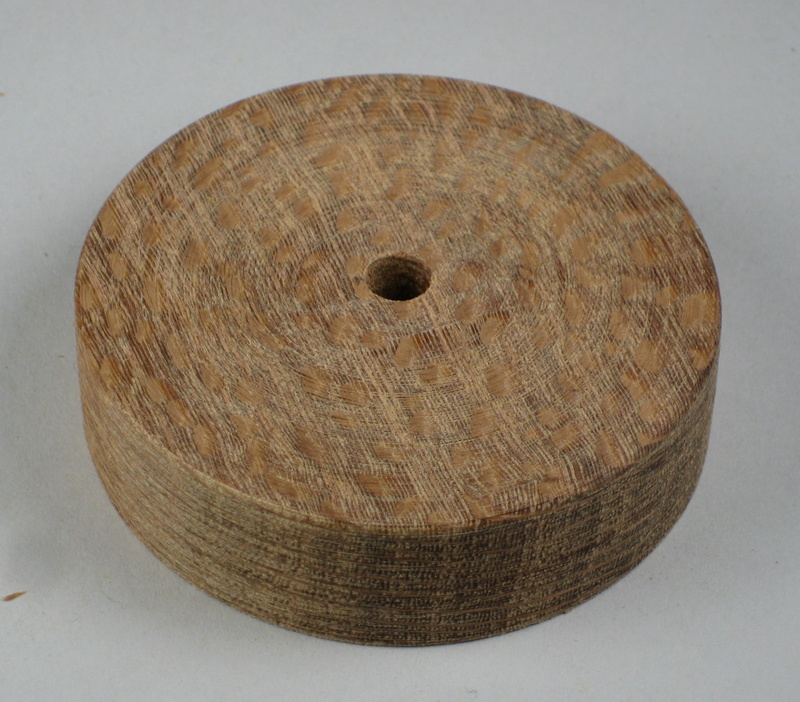 It had a dowel for the spindle and two oak disks with rounded edges. We didn’t know where to find a proper yo-yo string, so I made my own out of some cotton twine. It wasn’t the worlds best yo-yo, it wasn’t well balanced, but I became good enough to overcome those imperfections and do some simple tricks. I still have it somewhere — how could I get rid of something my dad made me? 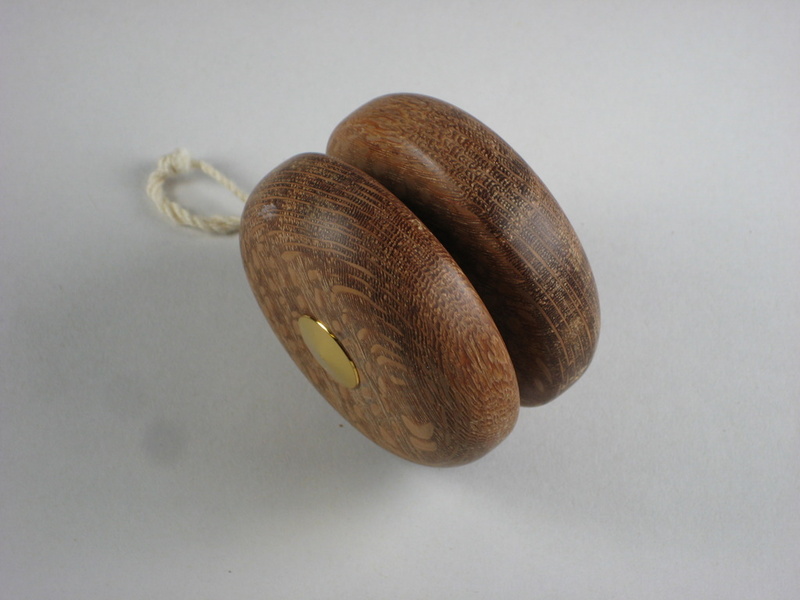 Browsing the Packard Woodworks site, I found a ball bearing yo-yo kit for less than $6. I bought two kits figuring how hard could it be to make a yo-yo. Of course I don’t own a lathe, which I learned makes it almost impossible to balance the sides if you don’t cut them perfectly the first time, but I’m getting ahead of myself. Last time I was at Rockler I had purchased a piece of leopard wood that was marked down. After looking at all the scraps in my shop I thought the leopard wood was a good candidate. The piece was 3/4″ thick and the yo-yo kit called for 5/8″ thick material so I resawed a small chunk of the leapard wood with my table saw. 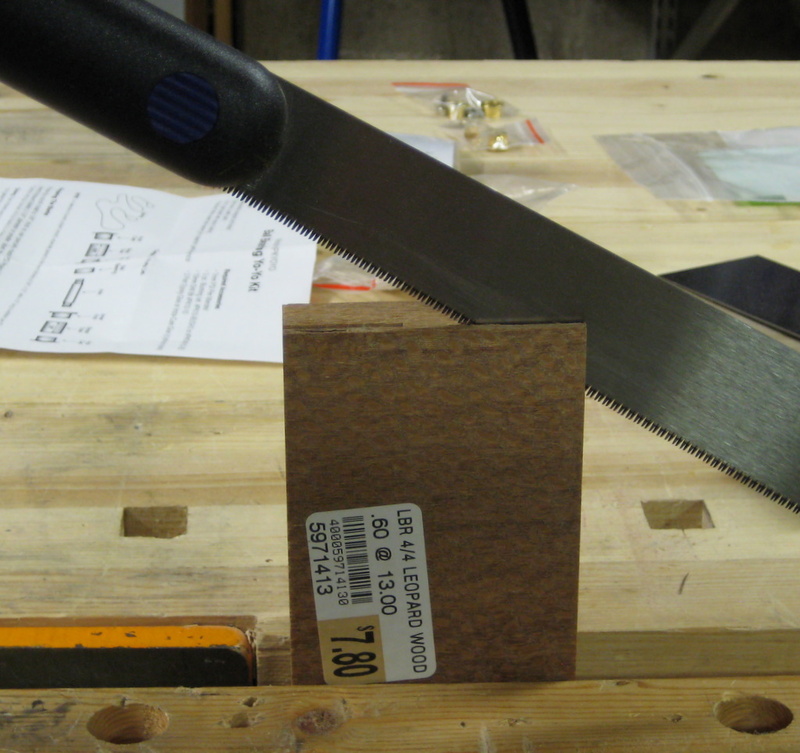 It’s not safe to saw completely through the piece on the table saw, so I left an island of material about 3/4″ thick in the middle and finished resawing the piece with a hand saw. I cut close to the 5/8″ thick side and didn’t worry about planing the piece flat, because I would have to heavily machine the two circles I was going to cut out of the piece. I cut two circles out using a 2-1/2″ hole saw. 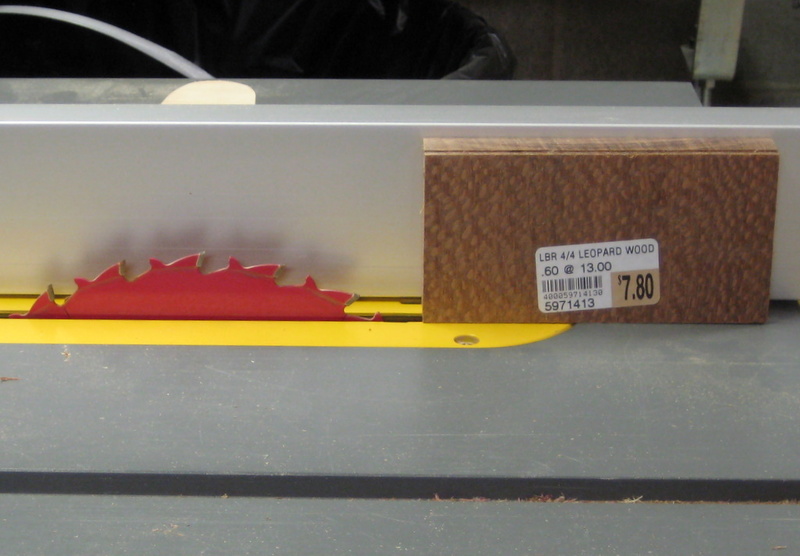 I cut halfway through the wood then flipped it over and used the through-hole to pilot the hole saw on the back side. This left an edge in the middle that I pared away with a chisel. 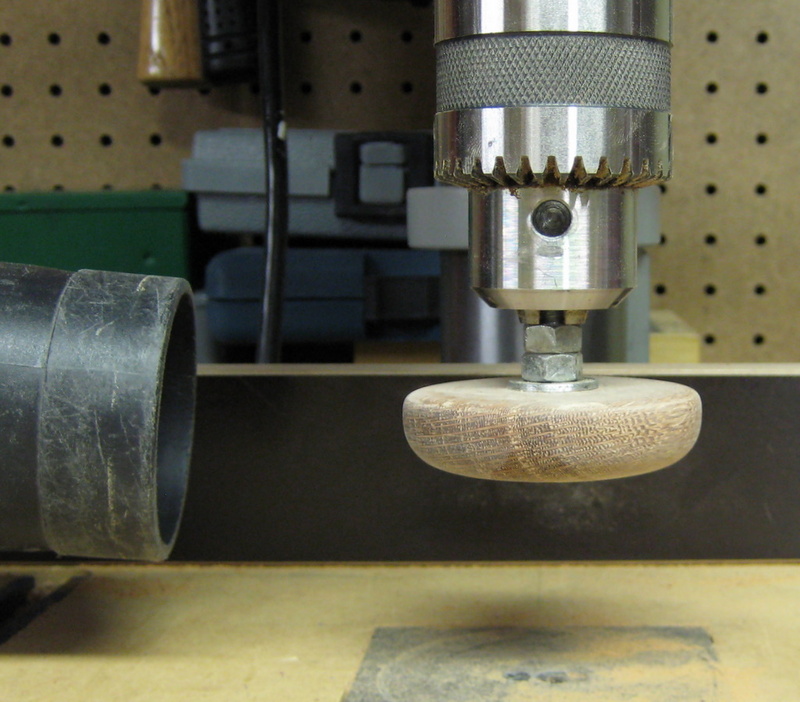 Then I smoothed the circle by screwing in a 1/4″ piece of all-thread as a mandrel, chucking that into my drill press, and sanding the edge flat. 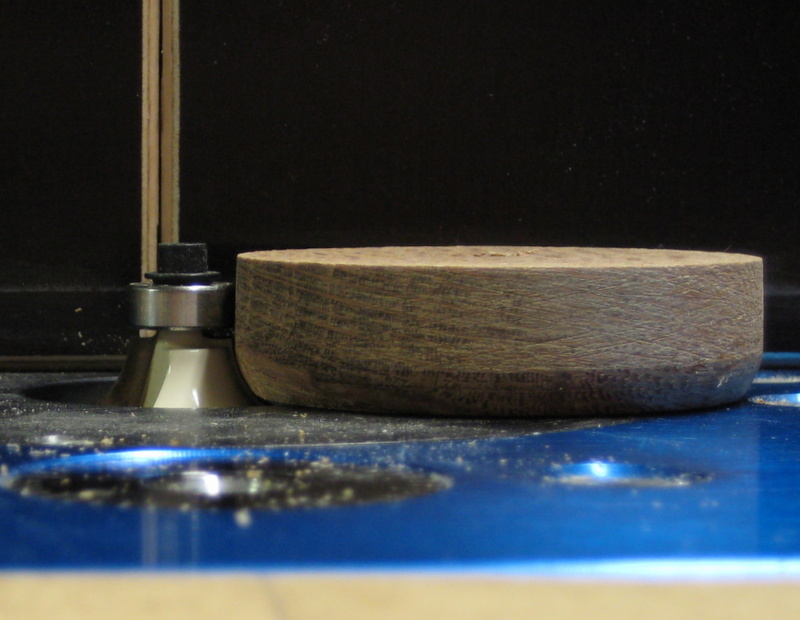 Using a 3/8″ round-over bit in my router table, I eased the outside edge. This is one place where a router lift with a digital readout shines. I set the final height of the round-over bit using a piece of scrap and I zeroed the readout. Then I lowered the bit to only remove a little material, as I finished the pass, I would raise the bit and remove a little more. I repeated this until I reached the “zero” on the readout. One reason I did this is because it is much safer removing a little material at a time, the bit tends to grab less. Even so I still am uncomfortable with my hands so close to the router bit. I found resting the work piece on the fence gave me even more control, but I eventually made myself a jig to do this safely which I’ll feature in another post. Using a 1/8″ round-over bit I eased the inside edge. I followed the same procedure as above. To sand the blanks and balance them I re-threaded the sides my 1/4″ all-thread and chucked them back into the drill press. Once I sanded out all the imperfections with 40 grit paper, I carefully weighed each side with a kitchen scale and removed a little more material from the heavier side until both sides weighed the same. After the blanks were the same weight, I tested the balance by using a piece of 1/4″ dowel for the shaft. 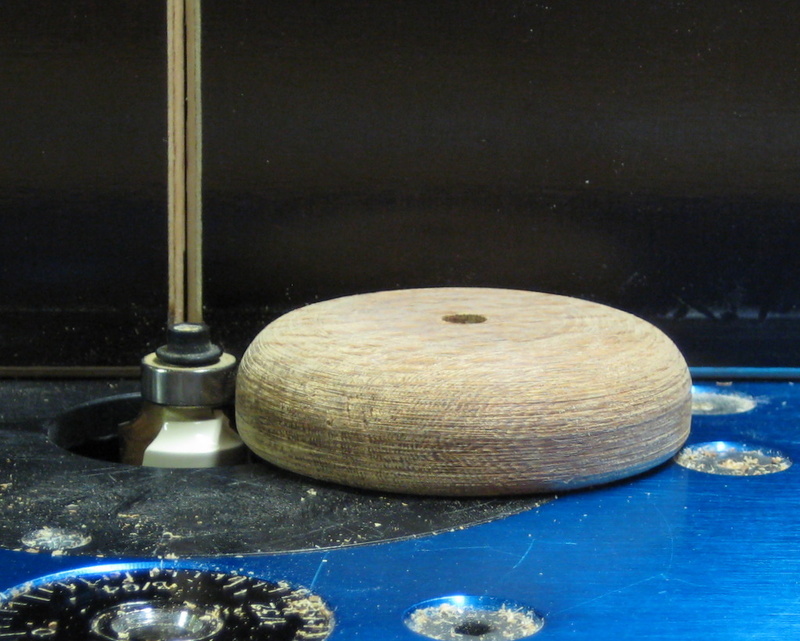 The yo-yo seemed to be balanced pretty well, so I chucked each half back into the drill press and ran them through 100 grit, 120 grit, 150 grit, 220 grit, 300 grit, and 400 grit sandpaper to get the halves smooth. To use the yo-yo kit I needed to enlarge the holes in the sides to 10mm, this is where I started to have problems. Enlarging the hole moved it slightly off center, so when I mounted the hardware, the yo-yo wobbled badly. To fix the offset holes I created another larger mandrel out of a 3/8″ bolt and used that to chuck the sides back into the drill press. I used 40 grit paper to try and remove enough material to center the hole again. I didn’t want to waste the sides so I needed to devise some way to salvage them. I’ll talk about that jig in my next post.